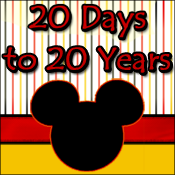 It's hard to believe that Walt Disney World will turn 40 in only a few days! What's even more difficult to believe is that I will be there to celebrate! I can't even begin to tell you how excited I am to be able to share in that special day after all the memories that magical place has given me! Recently, I received a huge honor! Distherapy asked me to write an article for their series "40 Days to 40 Years!" It was such a fantastic idea to have several Disney writers converge in one place and share their memories of the last 40 years. The series is rich with passion and information, several moments that will take you back and several more that will make you ready to plan your next vacation! I am posting a copy of my article here, but make sure you head over to Distherapy to check out the rest of the stories! Oh the 80's... big hair,big bands, big ideas- but also big fun at our favorite place on earth! 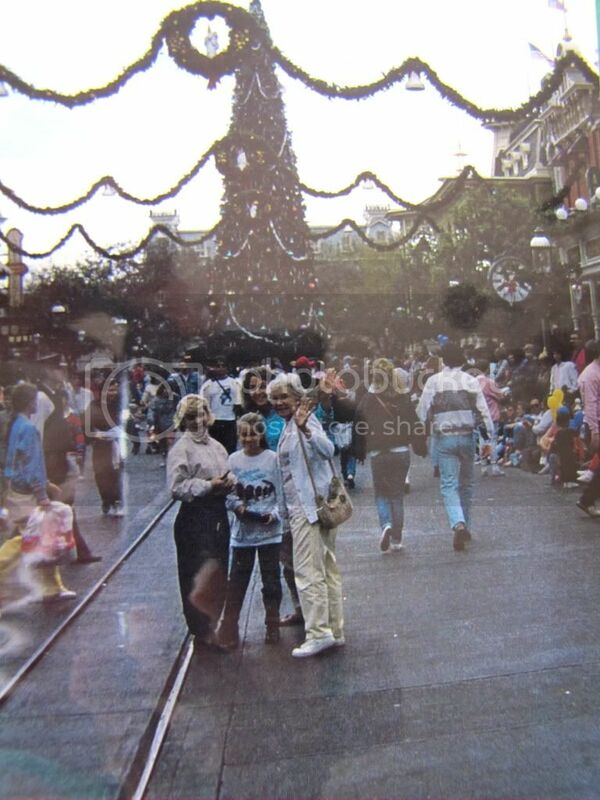 It just so happened, that when I was exactly at the age when I still knew everything, I had the opportunity to rock out Christmas 1987, the New Year and my 14th birthday in Disney World. Let me just tell you now, it was like totally awesome. 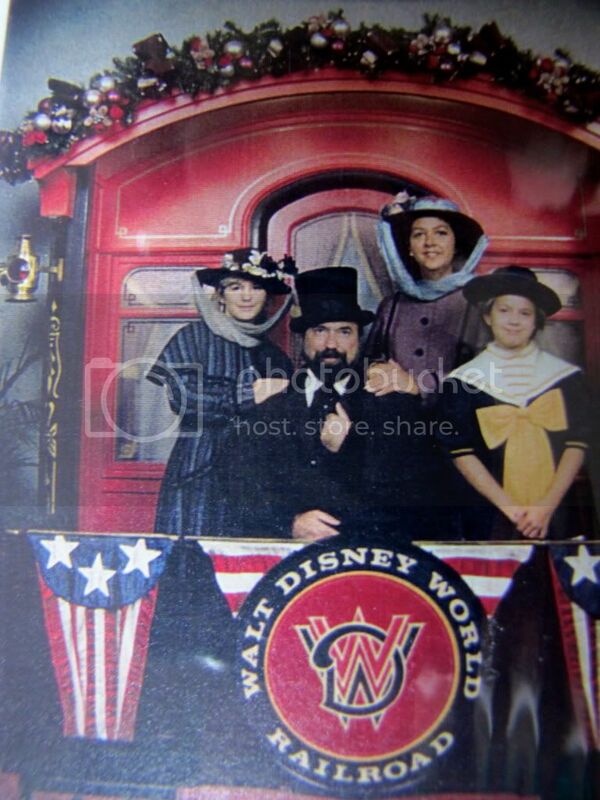 I was lucky enough to have been born into a Disney loving family, so these Christmastime trips were not unusual. This particular vacation stands out in my mind, however. I was old enough to begin to explore a little on my own. Surprisingly, I think spotting interesting Disney elements captured my attention better than spotting interesting boys did. Essentially, this was the vacation in which I really began to have an appreciation of the attention to detail: Which continues to be my favorite all-encompassing Disney fascination. We stayed at the Polynesian Resort, one of the few choices on property at that time. You could stay at the Contemporary resort, the Fort Wilderness Campground or the Golf Resort (now Shades of Green). There were a few other options over near The Walt Disney World Village, which we all lovingly refer to as Downtown Disney now, including the Treehouse Villas! I remember seeing a comb and brush set with the Villas on them at a shop at Disney World Village, thinking how cool it must be to stay there! Oh how I wish I'd purchased that set now! When the Villas were converted to student housing I was a little bummed at my missed opportunity. Like so many things in Disney World these days, what is old is new again! Those Villas are going back on my bucket list! Disney World was only about 16 years old at this point. They had just spent the last year celebrating the big 15 in amazing style! I see 1987 as a turning point from small, resort area to booming vacation destination! The Grand Floridian Beach Resort was just about to open, most of the countries in World Showcase were in operation and a new era was on its way in! Even though Epcot had been open a few years at this point, most of the magic still spotlighted The Magic Kingdom. As always, decorations were breathtaking! 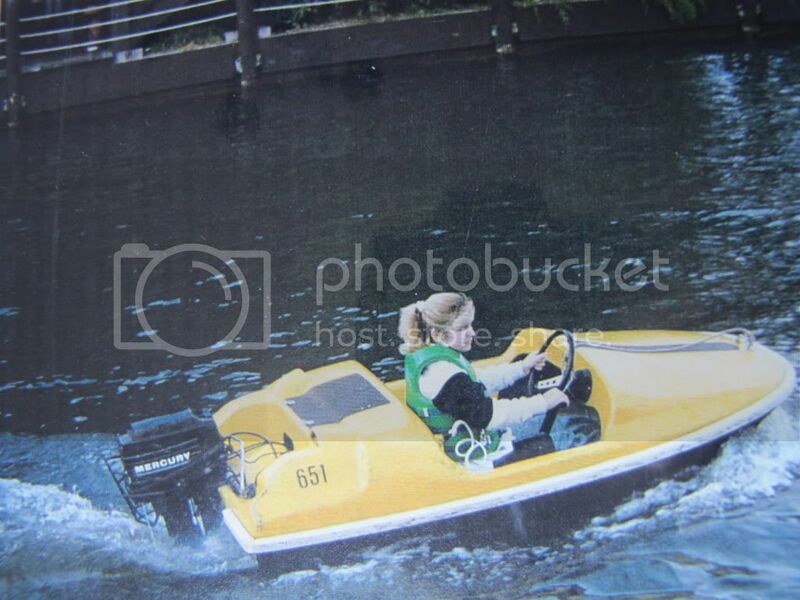 ﻿The small motorboats are slightly different now, but the concept hasn't changed! Ami driving a "water mouse" -check out the sun-in! 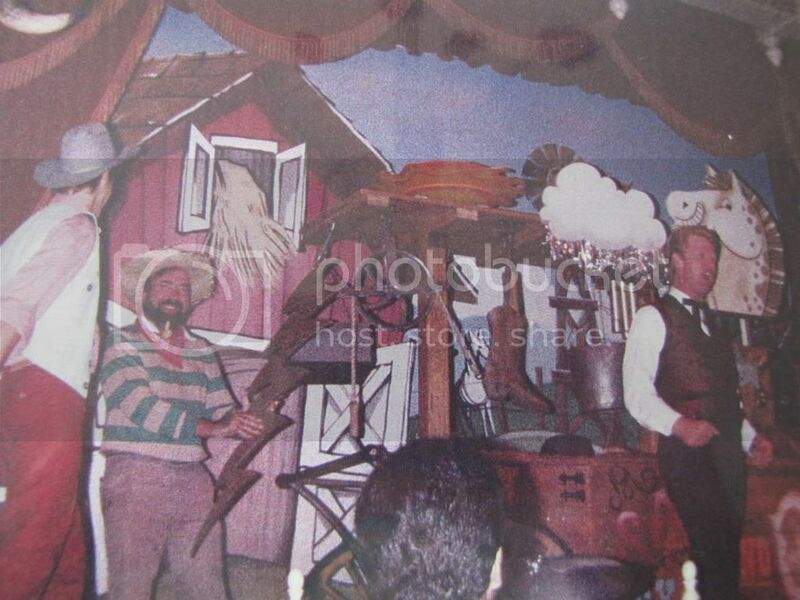 And don't even get me started on the Hoop-de-Doo Revue! Check out my dad on stage in 1987! The story line is a little different these days, but I can't think of a more hilarious way to spend dinnertime with my family! I love that I used to go to this when I was a little girl, and now I take my own little girls! 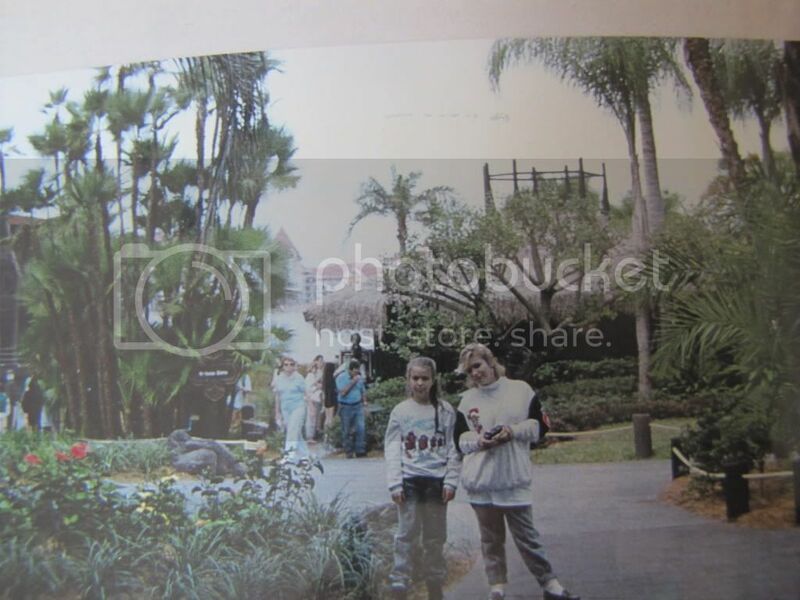 Epcot was only 5 years old in 1987. All the countries were open at this point except for Norway. Morocco had only recently launched, so this was my first visit there. I was instantly smitten! To this day, the Fez House remains probably my favorite spot in all of Disney World... with maybe the possible exception of Main Street just as you see the castle for the first time.. Oh and maybe Sunset Point at the Polynesian... anyway- I do digress- the point is- I LOVE THIS SPOT! 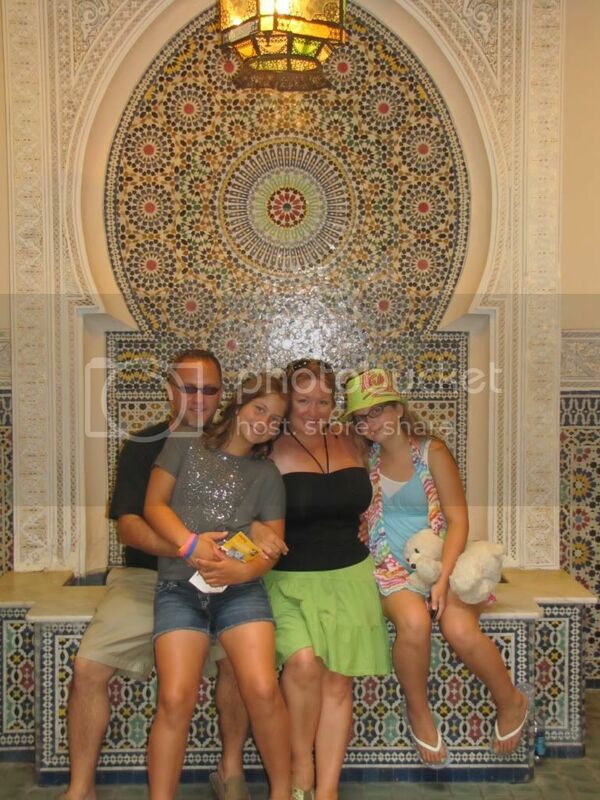 I have also had my picture taken in front of the fountain in the Fez House on every Disney World vacation since! This was the first! Speaking of New Years Eve. 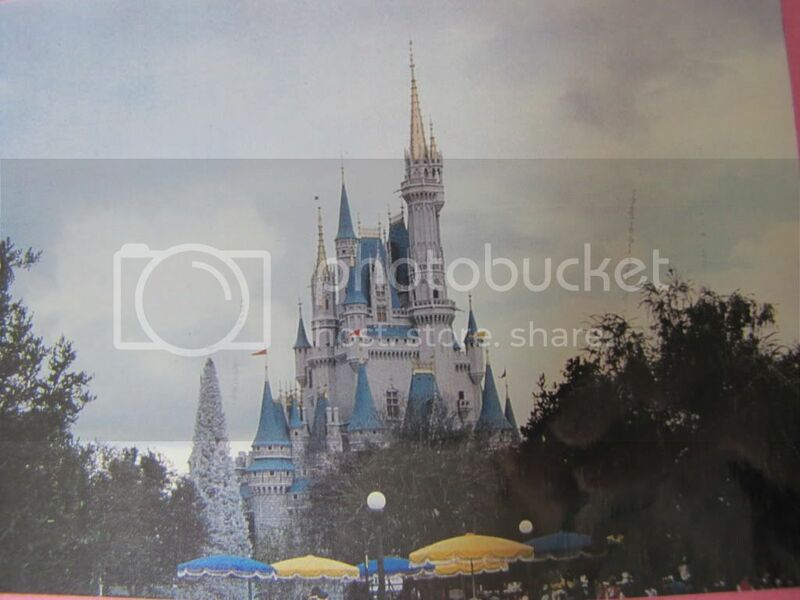 For those of you who have celebrated in Disney World recently, is it not a party? I'm not just talking one night either! There are NYE fireworks TWO nights in a row in the Magic Kingdom alone! You can easily stay up all night! Notice my party hat in the 1987 picture? After the countdown to midnight I TRIED to find life in Disney World! My parents went to bed and so did everyone else! The only person I found was somebody sweeping up and he was not too interested in my confetti. Oh how times have changed! Happy Birthday Disney World! It's hard to believe you're 40! What am I talking about? If Disney World is 40, that means I'm almost 40! Talk about hard to believe! Can we just go back to 1987?